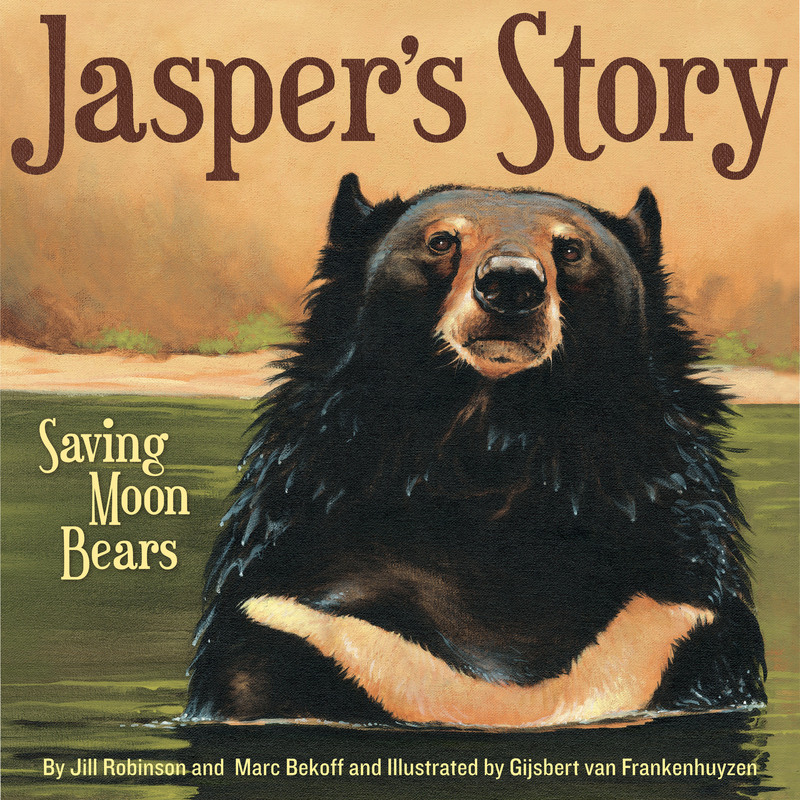 Jasper’s Story: Saving Moon Bears is as much a story about the consequences of cruelty to animals as it is about learning to trust again after your heart has been broken. It is a story of recovery and resilience that offers hope and teaches a lesson. It shows it is possible to heal no matter how broken a creature is, but not all creatures will find the strength once their spirit has been broken. This serves as a warning to us all that we cannot heartlessly use animals to further our own needs. Jasper’s story is frightening, touches the heart, and offers hope. The lines of the story flow across illustrations with a youthful beauty that soften this mature topic but cannot fully remove its rawness. While children as young as six can understand that it is cruel to confine an animal to a small cage even when the animal is being used to make medicine to heal people, some of the scenes are quite graphic. Bears biting their cages in fear appear ferocious and seeing a bear hooked up to tubes and life support devices is scary. I understand it is important to emphasize how horribly these bears are treated. They are robbed of their freedom, confined, and used to make medicine. But the tragic circumstances are described with a bit of an activist tone. Also some of the terms and concepts are quite complex. For example talking about whether the bear’s spirit would recover, the state of being listless, and grasping the complete recovery process are hard concepts for even adults to grasp. They strongly overlap with recovering from mental illness and addiction – hard concepts even for adults to fully comprehend. Jasper’s Story: Saving Moon Bears brought a tear to my eye — perhaps, because like Jasper, I learned how to trust after having my spirit broken. The recovery process does truly change a creature, it opens your spirit to share with others in the most compassionate way. Jasper’s story sends a beautiful message but it is bittersweet. This is one that needs to be read with an adult and leave time for plenty of questions and discussion. The publisher Sleeping Bear Press sent an electronic copy of this book for review.